On the third weekend of March the 22nd annual Kids for Kids Hockey Tournament took place in Kingston and Napanee. It brought 3,300 boys and girls and their families to Kingston and a tremendous economic impact to the city as well as a substantial donation to the neonatal intensive care unit and the children’s cancer clinic at Kingston Health Sciences Centre and the Boys and Girls Club of Kingston and Area. For the 13 players on the Rez Girls 64 Wolves hockey team it was most likely a trip of a lifetime. The Rez girls, from Fort Hope, a fly-in community about 300 kilometres northeast of Thunder Bay were able to make the trip due to the volunteer work of Steve and Katie Koopman and the Kingston community who opened its wallets and hearts to help cover the $100,000 cost for the girls to compete in the tournament. 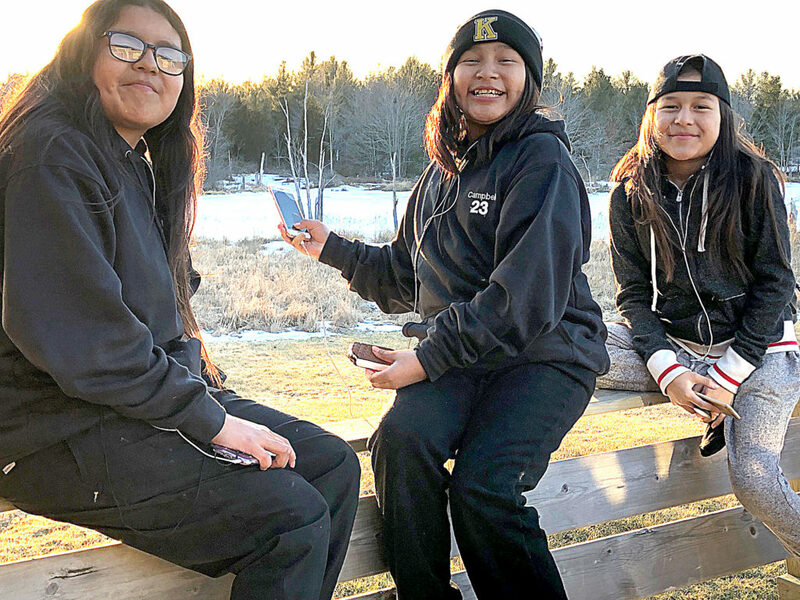 Last year the Rez Girls made a trip to Ottawa to play in a tournament, but when they almost didn’t make it due to lack of funding, Katie and Steve Koopman reached out to the local community and enough money was raised to get the girls to the tournament and to an Ottawa Senators game. 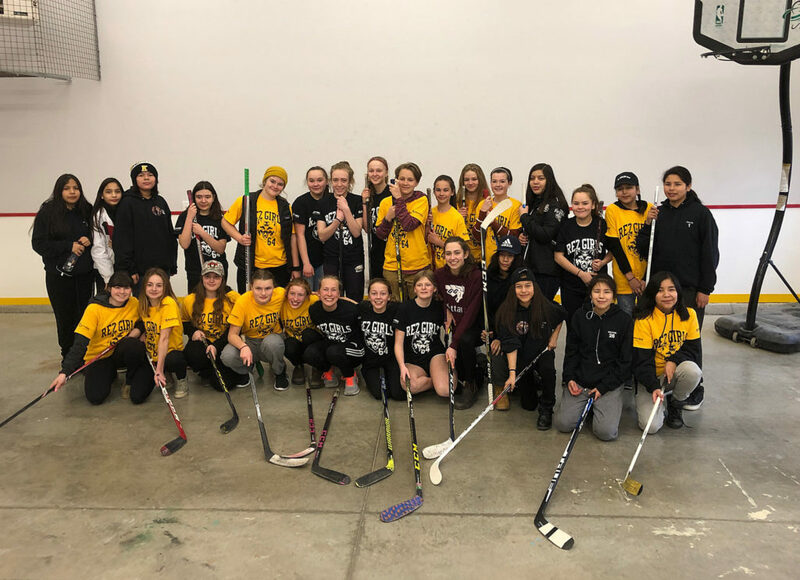 The girls played three games at the tournament, ball hockey and had a practice with members of the Kingston Ice Wolves girls hockey organization. Kingston was a great host for the Rez Girls, Steve Koopman, a sergeant with the Kingston Police, said. 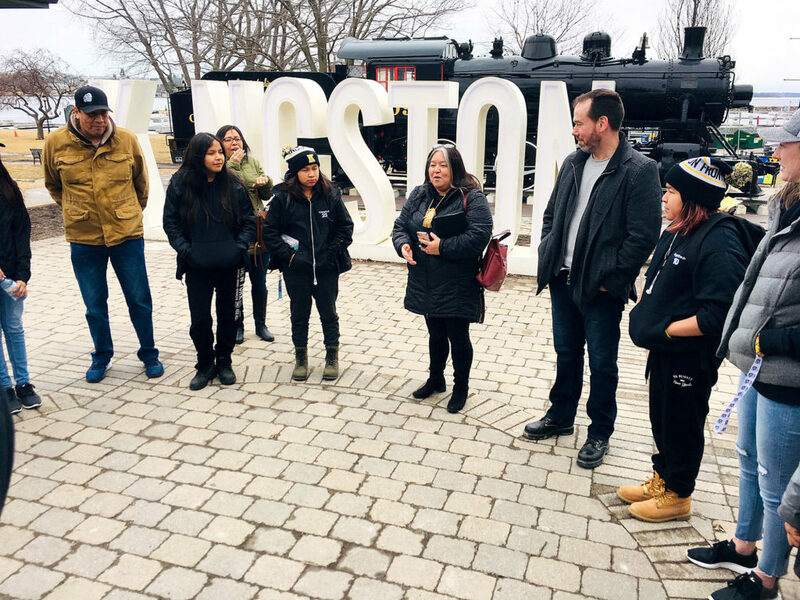 They also toured around City Hall and saw the Kingston sign by the Kingston Visitor Information Centre, went to the Catarqui Centre and fast food areas as well as had a tour of Regiopolis-Notre Dame Secondary School. Katie Koopman said the girls took advantage of the free Kingston Tour Trolley the tournament organizers and city arranged for teams in the tournament. Tournament officials and the Boys and Girls Club arranged for a school bus for the team to go from the Ambassador Hotel to the arenas and other trips around town during the tournament. “Kingston made it so easy for the girls to get here and to get around our city,” she said. Katie Koopman got involved with the team after she heard CBC documentary about their Ottawa trip last year and she and her husband provided photography services to preserve their memories of their visit. The Koopmans visited Fort Hope last May and are planning another trip to the secluded community of 1,000 people again this May and hold a photography clinic. They have also started the Good Ally Project through the True North Aid organization, a non-indigenous, non-profit organization to build the relationship between Kingston and Fort Hope. The project’s goals are to spread awareness about the conditions of Eabametoong First Nation, assist with projects within the community and to bridge the gap between the First Nation and Kingston in the spirit of reconciliation. Realizing the community didn’t have a proper hockey rink, the Koopmans started a GoFundMe campaign that raised $90,000 to build a cement pad for the rink, currently a large pebble area that is flooded and freezes when it is cold enough. When the cement floor is installed the winter hockey and skating season will be longer and the facility can be used for ball hockey and other sports in the warmer months. Katie Koopman hopes a few of the girls can attend a hockey camp in Kingston this summer. “This is an ongoing relationship with them and we are just very grateful that Kingston has bought in to this community and they understand the love we have for this team,” she said. Steve Koopman said the there was a tremendous feeling of inclusivity and welcome from the Kingston community during their visit. The Good Ally Project, www.truenorthaid.ca/good-ally-project.html.